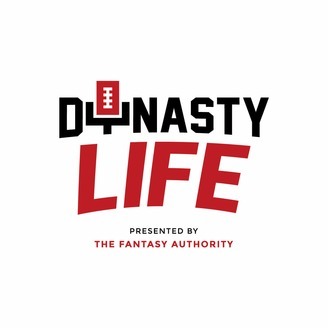 The Dynasty Life fantasy football podcast is a celebration of the bizarre, but fun life that fantasy owners live when they play various forms of dynasty fantasy football. Join Travis May, Justin McCasland & Andrew Frechette as we talk with guests from all corners of the fantasy football industry to discuss strategy, players, trends, and how our dynasty life fits into our daily life. Whether you're new to dynasty or a seasoned vet, there will always be something to learn and enjoy on the Dynasty Life podcast. Questions? Comments? Dynasty Life stories to share? Just reach out and we'll do our best to get them on the new show. Just remember, this show is for you, the dynasty fantasy football fan. We want to celebrate your weird, our weird, and the weird that is dynasty fantasy football. I hope you join us and tell a friend while you're at it. Make sure to subscribe on iTunes or Stitcher and look for new episodes every Friday! 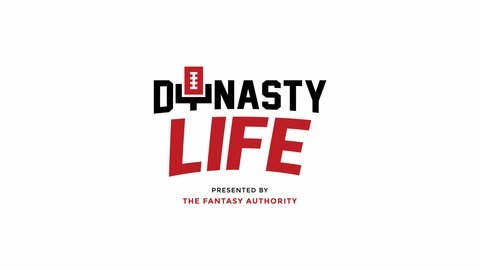 You can follow the podcast on Twitter @DynastyLifePod for up-to-date information. Also follow the hosts, Travis & Justin on Twitter for upcoming guests, topics, and to submit questions for the show! Travis - @FF_TravisM Justin - @MaclandJ Andrew - @andyfreshh We look forward to getting to know you soon! This is the last episode of the Dynasty Life Podcast. So, goodbye for now. Travis, Justin, and Andrew aren’t disappearing. They’re still going to all be around on Twitter. Travis will be hosting the Dynasty Command Center (@dynastycommand) Podcast so you can still listen to him there. They’ll all be available to connect with just about every day! But either way, we hope you enjoy the final episode of the Dynasty Life Podcast as we look back on some of the best times we all had together. So yes, it’s not goodbye forever, just goodbye for now. But no matter what, as always, keep living that dynasty life.